A “generalised deterioration of the environment” caused by climate change is not enough to show that the State’s key climate plan is in breach of constitutional and human rights, the High Court has heard. FiE argues that the Plan is not designed to achieve substantial emissions reductions to halt rising emissions and is thus a breach of the constitutional right to life and a healthy environment, as well as rights outlined under the European Convention on Human Rights (ECHR). Speaking this morning, Rory Mulcahy SC elaborated further on the State’s argument that FiE, as a company limited by guarantee, does not have standing to “assert an entitlement to those rights” on behalf of another person, in this case, the Irish people. He added that the State is of the opinion that the applicant has failed to demonstrate how it would meet the test that the standing rules should be relaxed in this particular case. If the judge so agrees with the State on this point, then, Mr Mulcahy said, the applicant has no right to assert a claim that rights under the constitution and ECHR have been breached. If deemed wrong on this front, he said, then the State argues that the rights which the applicant says are engaged by climate change are “not engaged by a generalised deterioration of the environment” caused by global warming. In order for those rights to apply, there must first be an “identification of imminent risk” that has been essentially ignored by the State, the cause of the risk and also an identification of the particular parties at risk. Mr Mulcahy said that in this case “only the global risks presented by climate change” are identified by the applicant and there is also no suggestion that there is anything in the Plan that creates that risk. 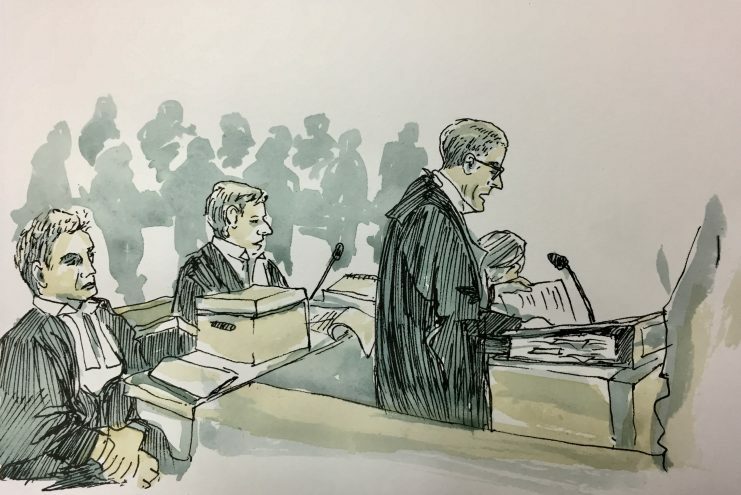 As the Plan does not create the risks that the applicant argues impacts on constitutional rights, it cannot be found to breach those human rights, Mr Mulcahy said. 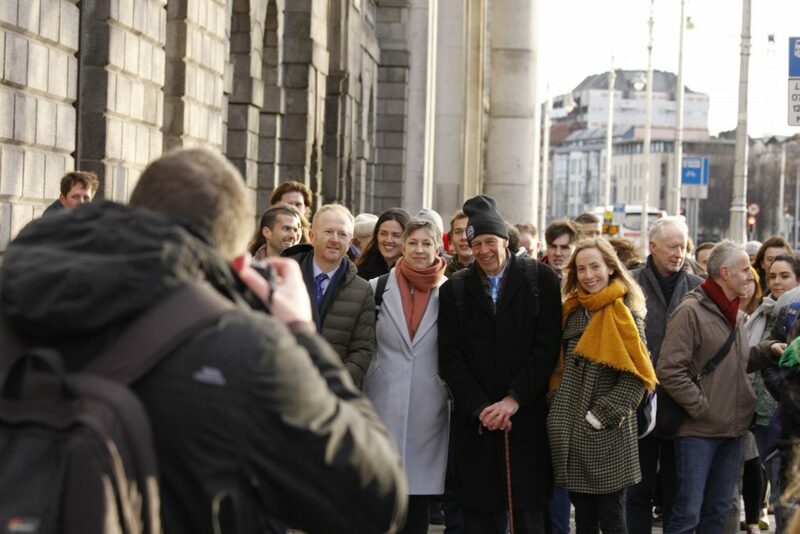 On Tuesday, counsel for the applicant, Eoin McCullough SC argued that the Plan impinges on the unenumerated constitutional right to an environment “consistent with the human dignity and well-being of citizens at large” as determined by Mr Justice Max Barrett in a separate FiE case in 2017. Mr Mulcahy, however, today argued that Mr Justice Barrett’s statement on this right was clearly obiter dictum – a remark in a judgment that is said in passing – rather than a clear assertion of an entitlement to those rights. In any case, he said, there is already an “overabundance of environmental protections afforded by the State and protected in the legislative sphere,” including a “raft of legislation” on the likes of the right to a clean environment and the right for public participation in environmental decision-making. Mr Mulcahy said that FiE, other concerned bodies and members of the public were provided with the opportunity to voice concern with the Plan during the public consultation on the draft version. It was “troubling”, he said, that a party can now bring a case asking the court to “do what we say is required, do more, and do it now”. This, he said, indicates that the applicant’s goal is for the court to make an order that will essentially prescribe what the State should do to tackle emissions and would see the judiciary put into the position of the executive. “That is precisely what the applicant is trying to do here”. On Tuesday, Mr McCullough said that this line of argument is a “false premise that lies right through the State’s submissions”. He said that the applicant does not seek to prescribe the types of emissions reductions that must be made nor does it seek a declaration that the State must bring about a certain level of emissions reductions.